WASHINGTON – On Thursday, Feb. 2, civil rights icon Fred T. Korematsu will become the first Asian American featured in “The Struggle for Justice,” a permanent exhibition at the Smithsonian’s National Portrait Gallery. 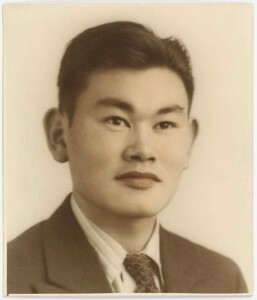 Two 1940s-era original photographs of Korematsu will be presented at 9:30 a.m. at the Portrait Gallery in a private event featuring speakers including former Transportation Secretary Norman Y. Mineta. The photographs will be available for public view when the museum opens at 11:30 a.m. The event takes place just three days after the second annual Fred Korematsu Day, an official day of special significance established in California in 2010. Celebrated every Jan. 30, on Korematsu’s birthday, Fred Korematsu Day is the first day in U.S. history named after an Asian American. “The Struggle for Justice” opened in 2010 and features many images of individuals who have worked on behalf of civil rights, including Dr. Martin Luther King, Jr., Eunice Kennedy Shriver and César Chávez. The museum, which drew in one million visitors last year, is the first museum not specifically focused on the Japanese American experience to include Korematsu’s story. To date, the Japanese American National Museum in Los Angeles, the Japanese American Museum of San Jose, the Manzanar Interpretive Center and the Heart Mountain Interpretive Learning Center in Powell, Wyo. all feature Korematsu in their exhibits. In 1942, Korematsu was a 23-year-old welder in Oakland who defied military orders to incarcerate 120,000 innocent Japanese Americans. After he was arrested and convicted of defying the order, he appealed his case to the U.S. Supreme Court, which in 1944 upheld his conviction on the grounds that the internment was justified due to military necessity. That decision has been widely condemned as one of the darkest chapters in American legal history. After four decades of living with a disloyalty conviction on his record, Korematsu and a team of pro-bono attorneys reopened his case, arguing that wartime government lawyers had hidden key documents contradicting their claim of military necessity from the Supreme Court. In 1983, a federal court in San Francisco overturned Korematsu’s conviction. Korematsu went on to champion the cause of civil liberties, not only seeking redress for Japanese Americans who were wrongfully incarcerated, but also traveling the country to advocate for the civil rights of other victims of repressive government action. After 9/11, he co-authored friend-of-the-court briefs on behalf of Muslim Americans being held without trial in U.S. military prisons. He passed away in 2005 at the age of 86. 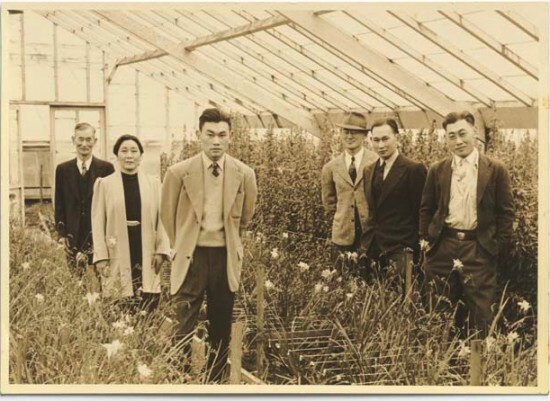 Fred T. Korematsu (third from left) with his family at their nursery in Oakland. Gelatin silver print, 1939. National Portrait Gallery, Smithsonian Institution; gift of the Fred T. Korematsu Family.